When you’ve identified YOUR 2nd Act, money should not be a barrier to experience the magic healing in helping others. 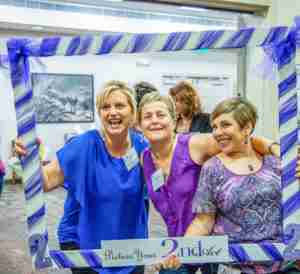 A 2nd Act presents grants annually in the fall, at our Girls Night Out Grant Awards Celebration. The Application Portal for the 2019 grants will open June 1, 2019. Grantees must be a woman, 18 years of age or older, and a survivors of ANY cancer, although their 2nd Act can address ANY social need. They can be the creators/founders or co-creators/co-founders of a social impact organization, wish to return to school, the author of a book or blog, manufacture a product to improve the lives of others, or any other concept with a clearly defined purpose to improve the world around them. Here’s a few things you can work on while waiting for our next grant cycle to begin. Consider this your “cheat sheet,” as these questions are on the grant application. Clearly identify your project and its mission. Describe the community need you’ll be able to fulfill if you are a recipient of an A 2nd Act grant. How will your 2nd Act address this need in a completely unique – and impactful – way? If there are other individuals or organizations doing similar work locally or nationally, please share their names and help us understand how your work is different and more impactful. 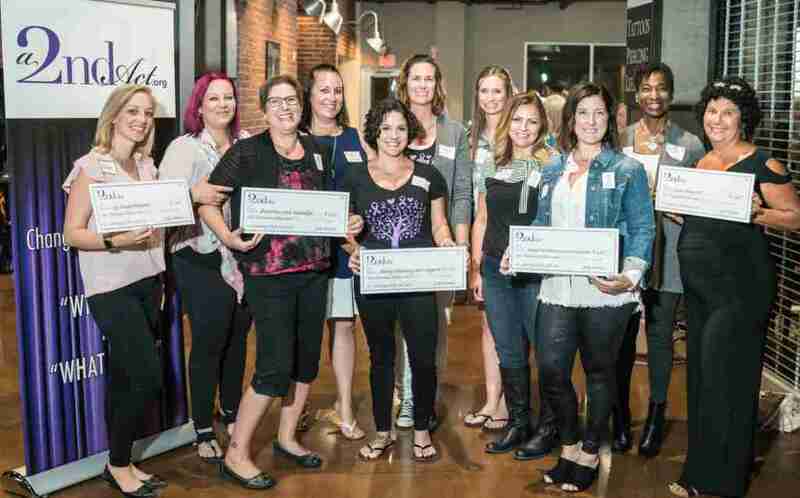 Holding checks on behalf of their organizations, from left: Mikala Edwards, My Empowerment; BethAnne King Lobmiller, Breastless and Beautiful; Cori Peloso, Young Advocacy and Support; Elizabeth Ayers Cluff, Impact One; Sue Magestro. Each received $1,000 from A 2nd Act to launch or grow their 2nd Acts. They’ve learned that there is healing in helping. They’re using their gifts of life and experience to give back to the world around them. It was an amazing evening … take a look at the fun HERE!